Paisley Pierce threw out the first pitch at a Lindale ISD baseball game Thursday evening after nearly dying from Type 1 Diabetes in February. LINDALE, Texas — For one East Texas family, it's been a hard month. 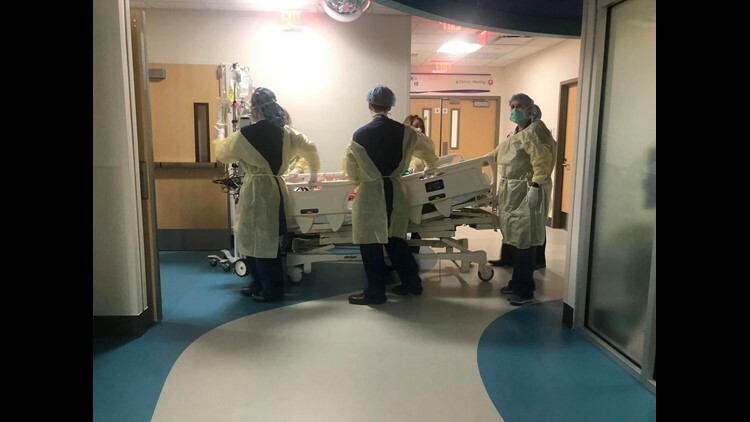 Paisley Pierce, 8, ended up in the emergency room at the beginning of the month with flu-like symptoms but tested negative for the flu and strep throat. "We just thought it was a regular virus. Her throat was hurting," Summer Pruitt, Paisley's mom, explained. 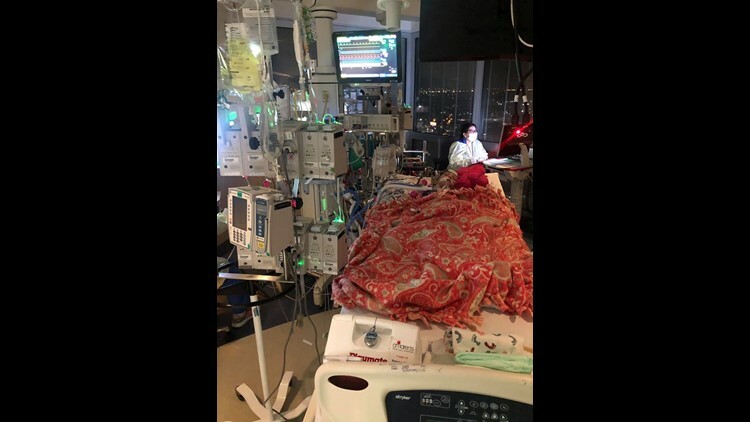 After they went back home, Paisley slept for almost 24 hours, something her mom knew wasn't right. They then went to an emergency clinic. While the doctors were running tests they discovered the issue. Paisley has Type 1 Diabetes. She was then taken by helicopter to Dallas. "Not the best time of my life. It was the scariest, the worst, and I never want to have it happen again," Paisley said. 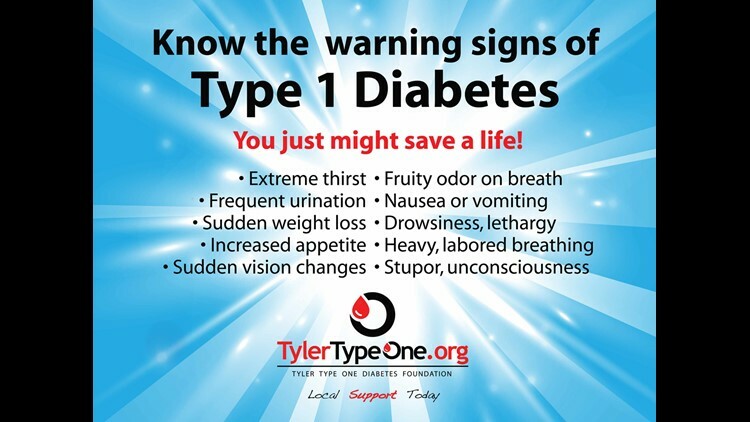 "If not caught in time and treated appropriately it's fatal," Sarah Wilson, the Executive Director of Tyler Type One said. "We have quite a few Type 1 diabetics in the area. With Tyler Type One, we serve over 500 families just in the Tyler area with Type 1." That number is increasing as Wilson says they receive one or two new diagnoses per week. Wilson also recalled the time when her first child was diagnosed with Diabetes. "I took her to the ER and they didn't even swab her," Wilson said. "They just looked at her symptoms and said, 'Oh yeah, I'm sure she has the flu.'" Wilson says that many times a child is misdiagnosed, people are shocked to know that it's more common for it to be misdiagnosed and not caught. By the time that it's caught, it's an emergency situation. One of the reasons is because even though it's a simple blood or urine test, it's not one that's performed regularly by a doctor or pediatrician, because the more common symptoms can be explained away. "The most common warning signs across the ages are frequent urination, extreme thirst, weight loss out of no where," Wilson said. If you choose to test your child at home, Wilson says blood sugar levels over 200 is a red flag. Wilson also explained parents, caregivers and family friends should familiarize themselves with the common symptoms because the majority of the time they are the ones that catch it, not the doctor. Paisley's mom says she only saw one symptom before Paisley's health really started to decline. "The only thing that I noticed about a month ago was a little bit of weight loss," Summer said. Paisley is involved in many extracurricular activities which was thought to be the cause of the weight loss. Currently, Paisley is laughing, smiling and full of energy. She was able to celebrate her recovery at a Lindale ISD baseball game Thursday night by throwing out the first pitch. Paisley is clearly a fighter. "Now when I see her walking down the hall, you know, talking to someone it's still crazy to me that she is okay and she healed so fast. It's a miracle," Summer said. "It literally is a miracle."